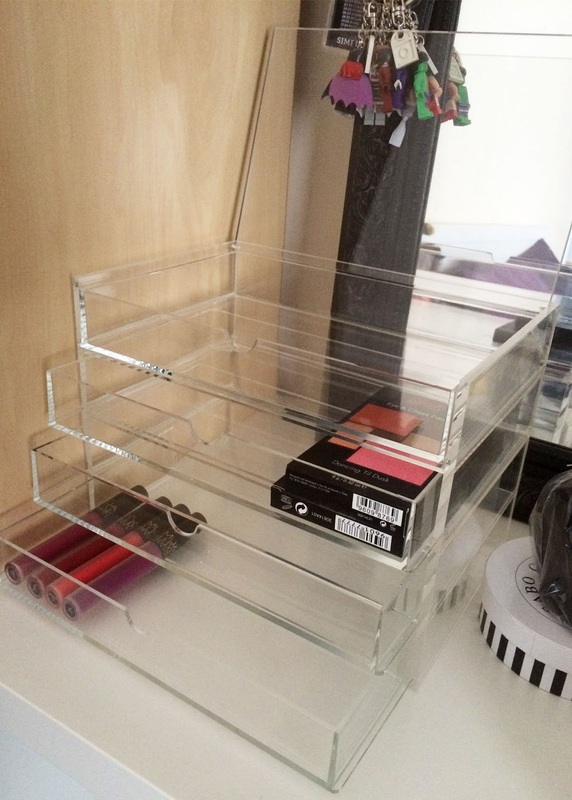 Gem's Up North : Selfridges Sell Clear Makeup Storage! 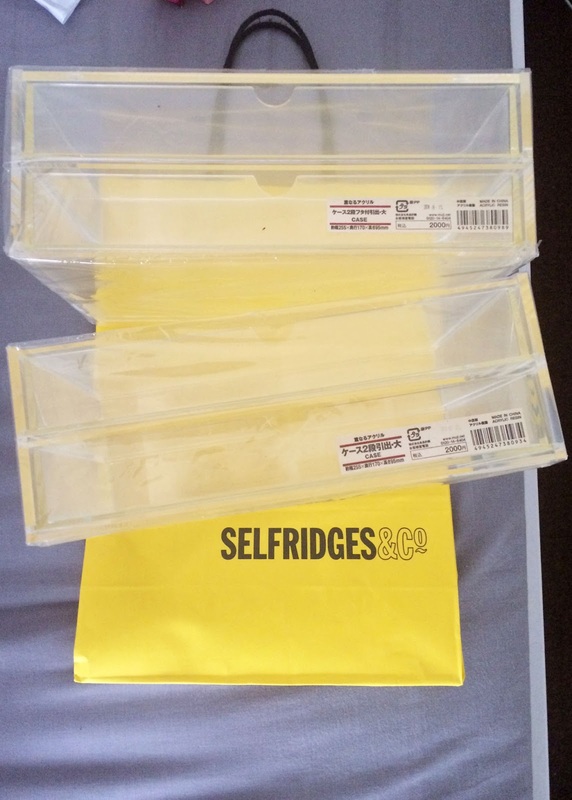 Selfridges Sell Clear Makeup Storage! ... And its not as expensive as you think! 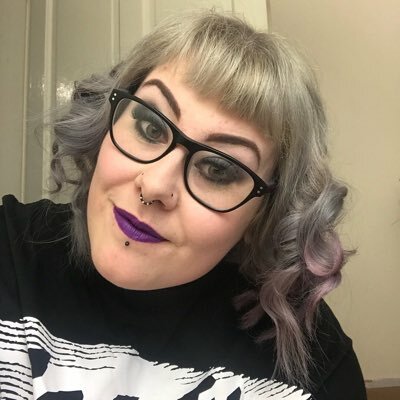 POST UPDATE - I've been to the Trafford Centre again today and visited this store to purchase another stackable set of drawers for my makeup. I now have the name of the store and a website link, yay! Ok so the store is called MUJI and the website is http://www.muji.euy + here are links to the products I brought 2 drawers wide and Acrylic flip top box. Sorry about the delay in finding out the store name, I don't visit the Trafford very often and I couldn't find these on the Selfridges website unfortunately but better late than never! ORIGINAL POST - On a recent trip to Selfridges Trafford Centre I spotted that one of the concession stores was selling clear storage including drawer style storage that I've been looking for. Of course I was expecting to not be able to afford the storage but I was pleasantly surprised! The store was between the White Company and Primark on the first floor, however I don't remember the name of the store. I shall have to look next time I'm at the Trafford. They was advertising the storage at the front of the store and had a 10% off deal running. I brought 2 sets of drawers which stack on top of each other. The top set has a lid that flips open whereas the bottom set doesn't. This style was just 49p extra and will look nicer on my dresser. Here is a photo of the drawers still in the packaging, you can see that the drawers are deeper than other storage sets and looks like better quality and thicker Perspex. I've set the drawers up on my dresser and snapped a photo before I fill them with make up products. Top drawer/flip lid is for mascara, brow products, and blush. Second drawer is for eyeshadows and primers. Third is just for my Sleek palettes. 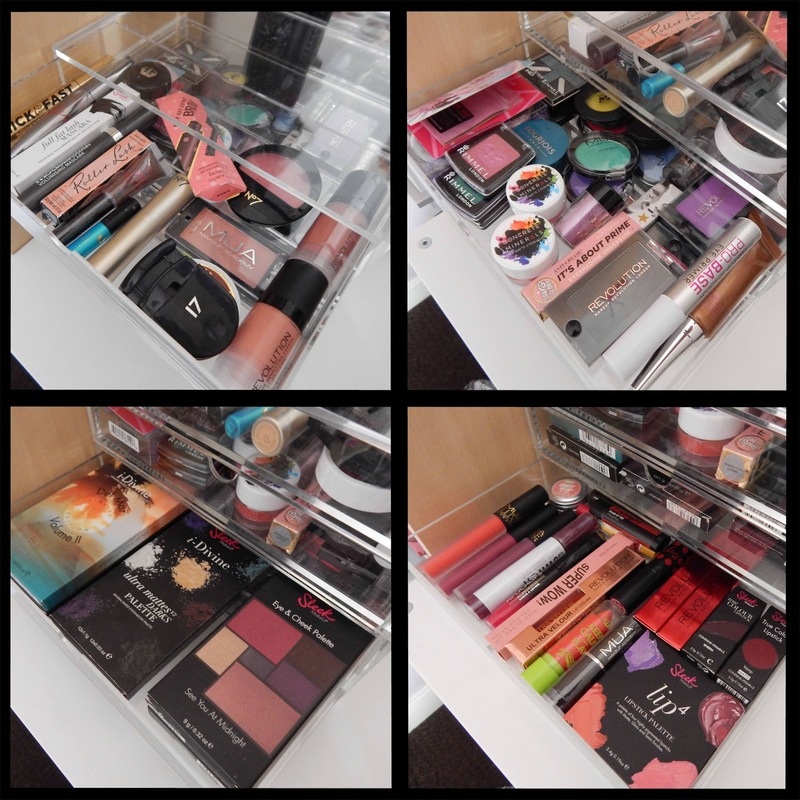 Bottom drawer is saved for lip sticks and products alike. I'm over the moon with this find, I also have the opportunity to add more drawers if needed, as there all stackable. This will be great for when my make up collection expands out of the current storage! How do you store your make up?? Let me know in the comments or tweet me.